Dimensions: Overall Height: 6.34"; Spout Height: 4.01"; Spout Reach: 4.34"
This sleek single handle faucet will enhance the bathroom with a modern look. 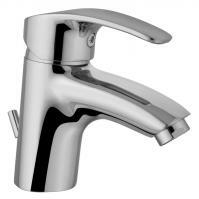 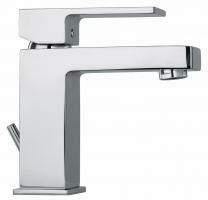 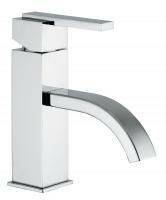 One lever is all it needs to easily control the temperature and flow of the water. 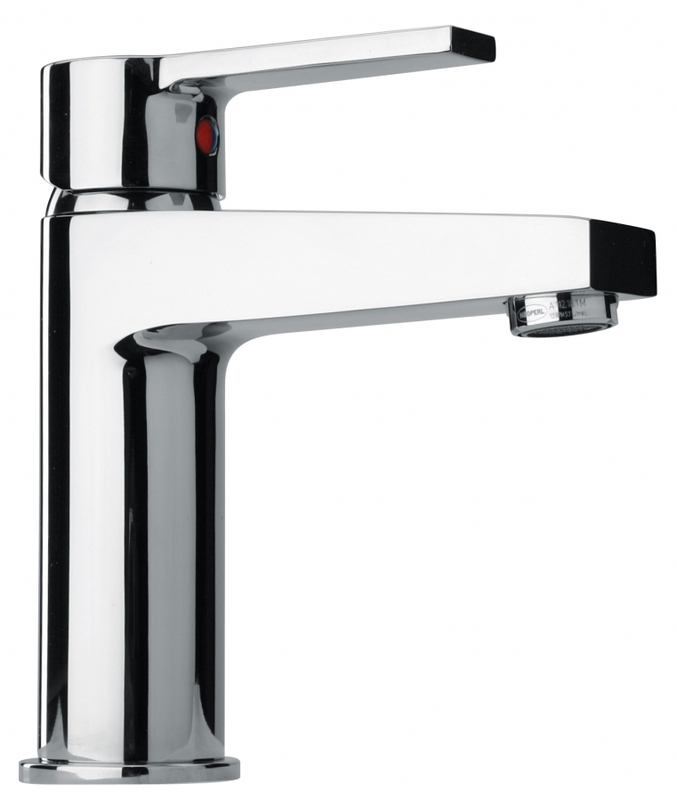 This model looks great in silver chrome but it is also available in a wide variety of finish choices, including antique black and polished brass.